Scholarly Publishing 2020: Innovations beyond the curve! The latest updates and developments that are occurring in the scholarly publishing industry. 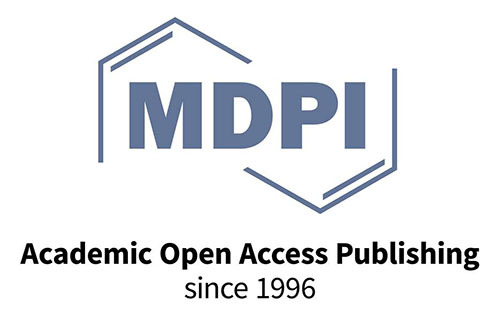 Open-access ‘mega-journals’, such as PLOS ONE and Scientific Reports, with their broad scope and their novel approach to peer review, have given rise to controversy in the academic and publisher communities. The UK Arts and Humanities Research Council (AHRC) has funded a research project, a partnership between the universities of Sheffield and Loughborough, investigating mega-journals and the future of scholarly communication. The project is cross-disciplinary and international in its coverage. This presentation will provide an update on the project and a preliminary report of some of its key findings. The work being carried out incorporates quantitative analysis, including a bibliometrics study, and qualitative research, including interviews with senior figures from the publishing industry. The different strands of the project are contributing to an emerging picture on the role of mega-journals now and their potential impact on the wider scholarly communication environment in the future. The Good News: an ease of access that once would have been imagined only by a few; support for the archiving organisations that act as our digital shelves. Evidence from the Keepers Registry, http://thekeepers.org will be used to show progress by 'the keepers of digital content' and how publishers can check what is being kept safe and what is still at risk of loss. The Bad News: the integrity of published articles, that purport to constitute so much of the scholarly record, is being undermined through ‘reference rot’: the combined effect of ‘link rot’ (404 - Page Not Found) and ‘content drift’ (when content changes over time, or is now a completely different website). Increasingly citation is made to what is issued on the ‘World Wild Web’. What was there at the time of writing (or even earlier, when note-taking) is not there when the scholarly statement is read later by other researchers or students. Evidence from the Hiberlink project, http://hiberlink.org shows that the rot sets in quickly. There can be remedy avoid or at least stop the rot: at publication but preferably at time of entry into submission systems and maybe even before at the note-taking. The need to freely share and post research articles is one of the greatest sources of tension between researchers and authors on one side, and subscription publishers on the other. Both sides have valid arguments and concerns, and despite differences they agree that the ability to share and post one’s own work, or articles relevant to collaborative research efforts, is essential to advancement of knowledge. Publishers are making moves to adapt both individually and through the first cross-publisher effort, the STM Association’s Reference Group on Scholarly Collaborative Networks, which produced a set of voluntary guidelines around article sharing in 2015. Since then the group has continued to work toward supporting consistent and sustainable system of article sharing. This presentation will look at the group’s progress since the release of the voluntary principles and future steps required to bridge the bridge the gap between the status quo and a system of sharing that truly the needs of researchers and other key stakeholders. Open Science – What is next? In twenty years of web-based scholarly publishing, we have done a lot of automation, but not so much transformation. That is, the process of publishing is more efficient, but not very different. This had led to a number of "friction points" in the researcher's workflow where expectations often built on modern consumer technologies meet up with scholarly publishing processes often built around "tradition". What are these friction points, and which can we address? Open Access books - The new model? Our experts will share their views and insights on where they see industry headed in the areas of technology, standards, researcher needs and new applications.